I should have said that Tatiana was the daughter of Alexander von Pistohlkers rather than Erik. Erik was Alexander's father. 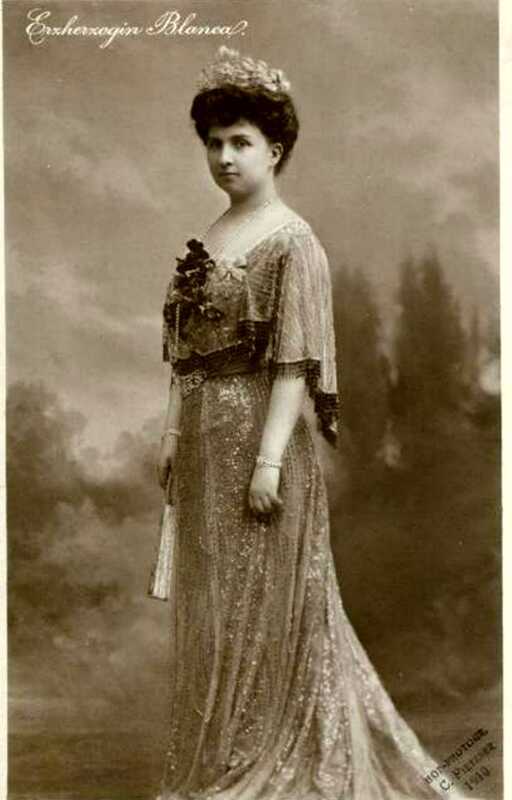 Tatiana was a godmother to Anna Vyrubova´s niece, who was also named after her. This child would have been Tatiana von Pistohlkers, daughter of Erik von Pistohlkers and Alexandra Taneyevna (and granddaugher of Princess Olga Paley). The Windsors / Re: Where were you/What were you doing when you heard Diana had died? I was in the living room of my mother's home, having recently moved in with her to help her with her cancer. My mother, grandmother, and I were up rather late, just talking and watching television when the news flashed that she had been in an accident. A few minutes later, we were told by a newscaster that "the princess has died." I will never forget those words and the shock we all felt. I worked with a friend who was a big follower of Diana and for the next several days we watched all the developments on a TV at work. Later, my friend and I and some others gathered to watch the funeral. Where did the children of Blanca and Leopold Salvator grow up? I think it is interesting that of their ten children, all of whom reached adulthood, none of them made a royal or even illustrious marriage with the exception of Anton who married Illeana of Roumania. Were they so poor that no other families sought them for marriage? I'm sure it didn't have to do with looks, they were an attractive bunch. Alexandra Feodorovna / Re: Questions about Alexandra's Name? Alix for Alice, and her mother wasn't her aunt. I recall reading somewhere (it might have been in one of Alice's letters) that Alice had wanted "Alice" as part of the name but the Germans butchered the English "Alice" when they pronounced it and the closest approximation in German was "Alix". It seems it was implied that the original intent was to name Alix after all the daughters of QV, in order of birth, but "Alice" had to be altered to "Alix" although she would have to be called something besides Victoria since her older sister was already labeled such. Anyone here claim a Tudor in their ancestral line or by marriage? Just curious. I like genealogy. Through my 2nd great aunt's great uncle, I'm a distant relative of the Howard family of Norfolk, Anne Boleyn, and Queen Elizabeth I. Being a genealogy buff myself, I think this thread might have some life left in it. Tudor ancestry is rare, as of course Henry VIII had no grandchildren. There are the descendants of Margaret Tudor, through her granddaughter Mary Queen of Scots and King James I and VI, who comprise most of the present day royal families. I'm not sure, but Charles Brandon and Mary Tudor may have descendants in the female line. But there should be many people out there w/ Plantagenet descents, which are very interesting for discussion. Many early American families descend from Katherine Swynford. I know her father was Paen de Roet. Has anyone come across the name of her mother? Alice beat a failed marrage, a mental disorder and deafness. I think that was an accomplishment, not to mention she saved the lives of Jews in Athens. Alice was a tough and admirable character, one of my favorites. She was witness to a huge span of the ages, from the Victorian era to flying on modern day jets. I'm glad she wasn't tied to a throne and was able to more or less live her own life. Caroline Julie Anselme Rothschild (1830-1907) was the daughter of Anselm Rothschild (son of Salomon), of the Vienna branch, and his wife/first-cousin, Charlotte (daughter of Nathan). In 1850, Julie married Adolph Carl Rothschild (son of Carl), of the Naples branch, who was a first cousin of both of her parents. They had no children. Julie was famous for smoking cigars and sailing her yacht around Lake Geneva delivering boxes of her grapes to neighbors. One of Julie's sisters, Sara Louise, married Baron Raimondo Franchetti. She left her vast fortune including priceless art collections and estates to a favorite, albeit rather dissolute, French cousin, 26-year-old Maurice "Momo" de Rothschild, second son of Baron Edmond de Rothschild. Is Stavros the Greek equivalent of Stephen?